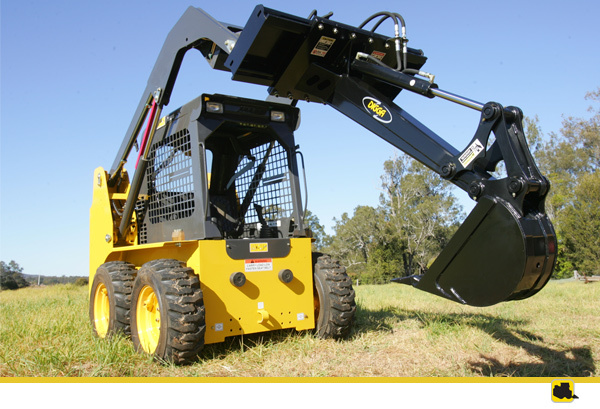 2.5" x 19" cylinder provides increased breakout force. 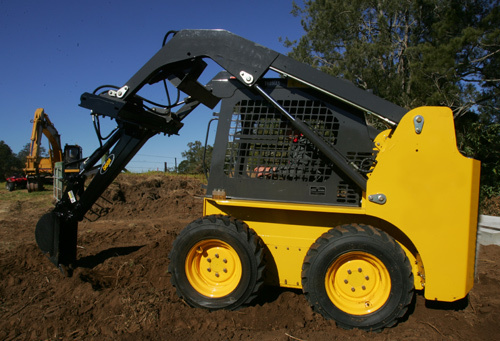 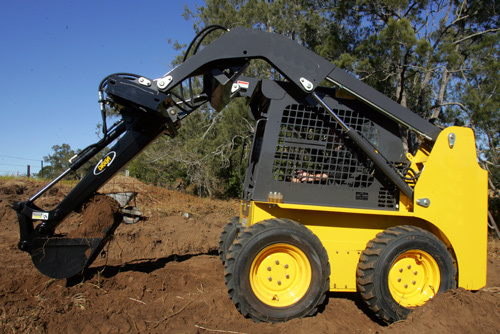 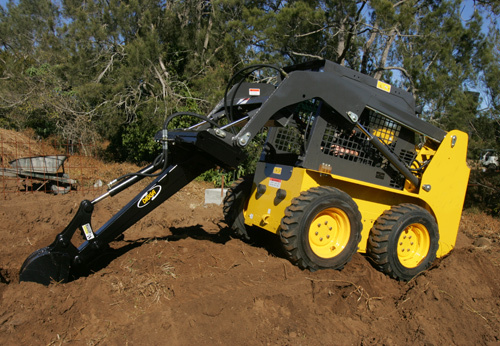 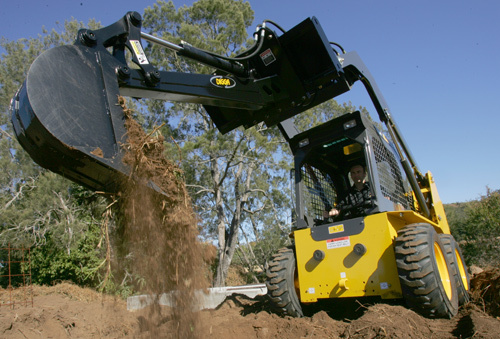 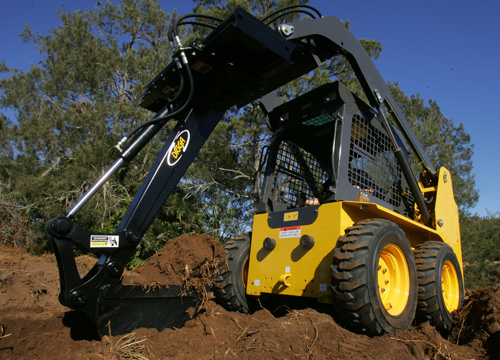 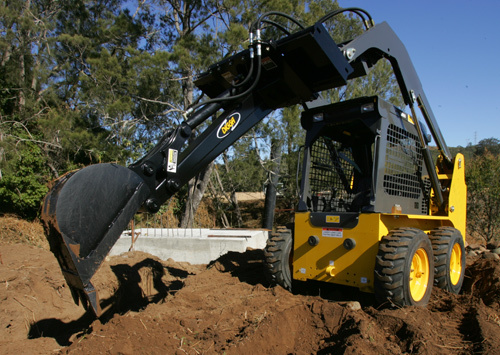 Mounts easily on all major skid steer loader brands. 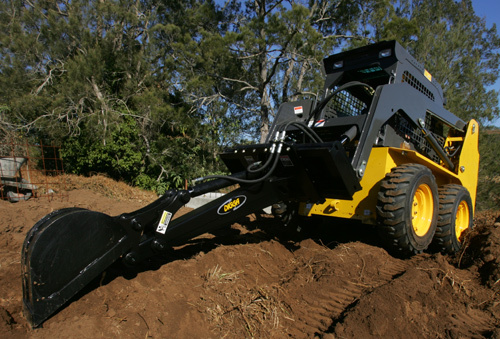 Digs trenches up to 1.7m deep with a skid steer. 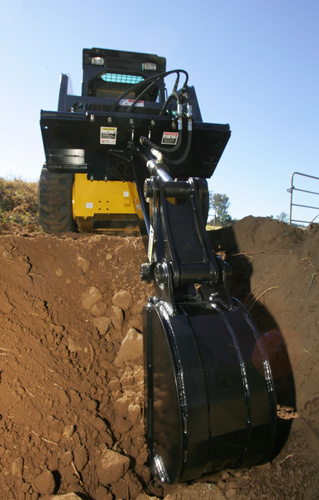 Provides excellent mobility for digging footings. 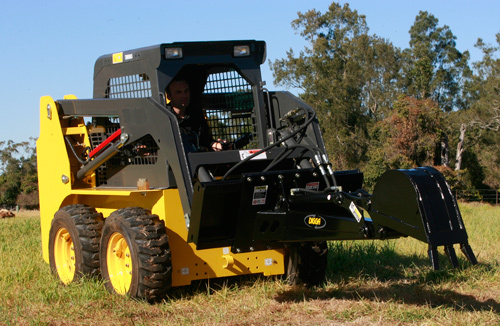 Often eliminates the need for other machines.